Republicans used their supermajority status to override a pair of Gov. Roy Cooper’s vetoes of legislation intended to, in the GOP’s view, inject fairness and security into elections. The vetoes also disqualified three Constitution Party candidates in the process. “It’s a terrible precedent for the General Assembly to change the rules of an election in the middle of an election,” said Kevin Hayes, vice chairman of the state’s Constitution Party, which appears on the ballot for the first time. He said the party would fight the ruling, which removes some of its candidates from the November ballot. The House voted 74-43 Wednesday, June 20, to override Senate Bill 757, making changes to court districts in four counties, and 74-42 to kill a veto of Senate Bill 486, the Elections Security and Transparency Act. The Senate voted to override the vetoes on identical 31-14 votes Tuesday night. Since Cooper took office in 2017, the General Assembly has overturned 13 of Cooper’s 16 vetoes. Patrick Gannon, spokesman for the Bipartisan State Board of Elections and Ethics Enforcement, said the board ruled that S.B. 486 invalidated some Constitution Party candidates. Elections Board Executive Director Kim Westbrook Strach later sent Carolina Journal a copy of a letter informing 10 people who had filed for judicial seats that S.B. 757 altered the jurisdictions in which they filed to run. It went on to state, “If you wish to participate in the 2018 General Election under judicial districts established by current law, you must submit a new Notice of Candidacy within the filing period … which ends on June 29.” The initial filing fee would be applied to the new filing fee if it had not been processed for reimbursement. Cooper vetoed S.B. 486 Friday night, preventing it from going into effect. It contained a provision prohibiting “sore losers” who failed to win primary elections from running for the same office in the general election under a different party label. Three candidates who lost May 8 primary races filed Monday to run under the Constitution Party. Allen Poindexter lost the House District 90 Republican primary to Sarah Stevens. Greg Holt lost a Republican primary for Craven County Board of Commissioners to Tom Mark. Democrat Jerry Jones lost a Democratic primary for Green County Board of Commissioners to Natasha Sutton. “When they filed the law had not changed. The law has changed after the fact,” Hayes said. “If they kick them off the ballot we’ll have to appeal it” to the state Elections Board, Hayes said. “We’ll take it as far as we have to. I really don’t think the statute has a lot of grounds to stand on” because the elections process was underway when the change was initiated. The House and Senate overrode the S.B. 486 veto with little debate. “This bill provides for crucial election security measures in advance of the critical November elections,” and those were requested by the nonpartisan staff of the state Elections Board, said Rep. David Lewis, R-Harnett, chairman of the Elections and Ethics Law Committee. “Overriding this veto is the only choice we have to protect our ballot boxes from foreign and domestic hacking threats this year. If this doesn’t get done, you are leaving our ballot boxes exposed,” Lewis said. He made only passing reference to the sore loser provision, saying the bill aligns ballot access for new parties. Existing law disallowed a primary loser from running as a write-in candidate for the same seat in the general election. House Minority Leader Darren Jackson, D-Wake, said it’s wrong to change rules in the middle of an election that’s already started. “I’m sure that’s going to lead to more litigation,” he said. Republicans could have saved the state millions of dollars in likely legal expenses by passing the legislation and delaying its effective date to Jan. 1, 2019. Both chambers engaged in fiery debate on S.B. 757, which Cooper vetoed Friday night, preventing redrawn district and superior court districts in Wake, Mecklenburg, Pender, and New Hanover counties from becoming law. Republicans said the revisions were necessary to account for population shifts that created gaping differences in constituent-to-judge ratios. The disparities meant some voters had greater voting strength than others, raising concerns of constitutional violations based on an earlier state Supreme Court ruling. 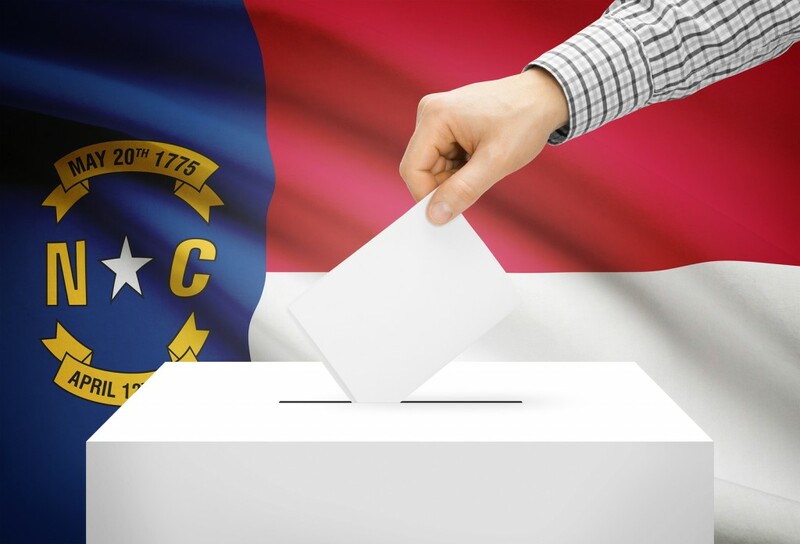 Rep. Marcia Morey, D-Durham, a retired district court chief judge, said 14 candidates submitted paperwork to run for district and superior court seats in the affected counties since Monday. The veto override creates confusion because new districts are now in effect. Rep. Nelson Dollar, R-Wake, said he and Rep. Justin Burr, R-Stanly, worked for months with judges in Wake County to design a bill that met their approval. The chief district court judge and senior resident superior court judge signed off on the changes. “There’s no reason to delay when you know you have a constitutional issue,” Dollar said to Democratic objections to piecemeal judicial redistricting. He said that problem has festered for nine years since the Supreme Court ruled a lesser population difference in Wake County was unconstitutional. “Abiding that constitutional wrong reduces the people’s vote, and hurts justice. Governor, with all respect, obstructing the cure for that constitutional injury through this veto, and the manner in which it was administered, shows contempt for the people,” Bishop said. Republicans contended Cooper acted in bad faith by sending his veto message to the private residence of the Senate clerk Friday night after the legislature adjourned for the weekend. The veto’s timing prevented an override vote before election filing opened. Senate Minority Leader Dan Blue, D-Wake, warned that S.B. 757 would start dismantling the consolidated district court system set up more than 50 years ago to do away with a host of local courts often setting arbitrary rules. “You have set in play here a process that in two or three years will infect the entire state,” Blue said. “District court is where everybody sees justice in its rawest form. Most of them don’t have lawyers. They don’t have fancy arguments. They don’t write briefs and long dissertations on what the law is or ought to be. They meet the judge face to face in these district courts,” Blue said. “You’re going to give them the same kind of justice because all of them have an opportunity to vote you in or out, and you don’t get preferential treatment,” Blue said. He warned S.B. 757 is an attack on that safeguard.